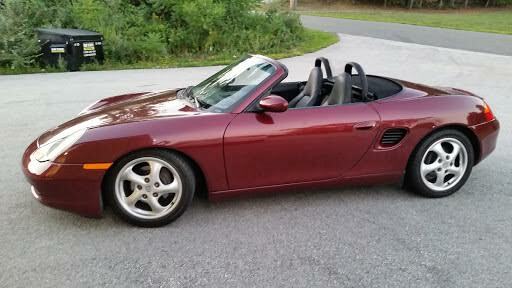 We bought a Boxster last fall. We like to travel and decided it was time to do it in style and were looking originally for a Miata never thinking we could ever buy a Porsche. After several months of looking and trying various sports cars we fell in love with the Boxster the minute we drove it. I am not mechanically inclined so the local European repair shop does the work. We paid about $6800 had 111.000 miles on it. I had to travel about 250 miles to get it and they took it to the garage the morning we bought it to get inspected, etc. They said it was all set. Had brand new tires, brakes, suspension, etc. Needless to say the dealer lied and the garage they used must be in cahoots with them. I didn't even get home (bought in NH, live in VT) and battery died. AAA stated they stuck old battery in it. I finally get it home and have the local foreign car shop (Excellent reputation) go through it with a fine tooth comb. It cost me another $4000 just to get it to pass our state inspection to drive it. There was several major issues, suspension, axle, tires(inside side was dry rotted), power steering system (they installed wrong and hoses were touching the ground and destroyed) and brakes were supposedly new (they turned the rotors and mangled them). They showed me the horrible quick fix job the last shop had done. So I learned a hard lesson. Even with all that, We absolutely love the car and can't wait to pull back out of storage and drive it. It drives like a charm. Welcome ... nice color. Spending $2-4K after buying is not unheard of. At least you didn't pay more for it and then have to also put the extra money into it. Don't worry about the money. The permagrin is worth it. I like traveling too! To choose a proper car for this purpose is pretty complicated, I agree. But I finally got a car and started my US journey from NY. I started the car at Bryant Park https://worldcams.tv/united-states/new-york/bryant-park and moved to the West. Traveling by car is so awesome. Hope to do the same someday in the future.